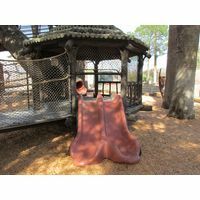 The 4 Kids Playground designers are committed to making each creation a highly safe work of playground art in its own right, a stand-alone center of fun and delight at the park, but even with all the fantastic features this one boasts, it can be just the beginning. 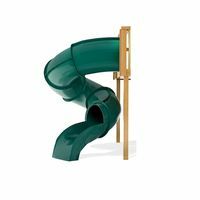 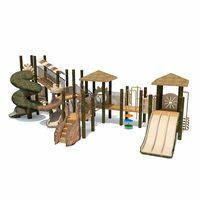 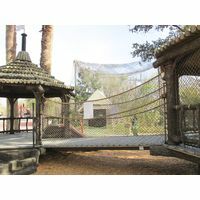 A comprehensive interactive playground structure that caters to every kid’s fantasy, this creation offers two levels for sheltered play, decking, slides, tunnels and climbing features to wow tots, tweens, teens and even adults in the park. 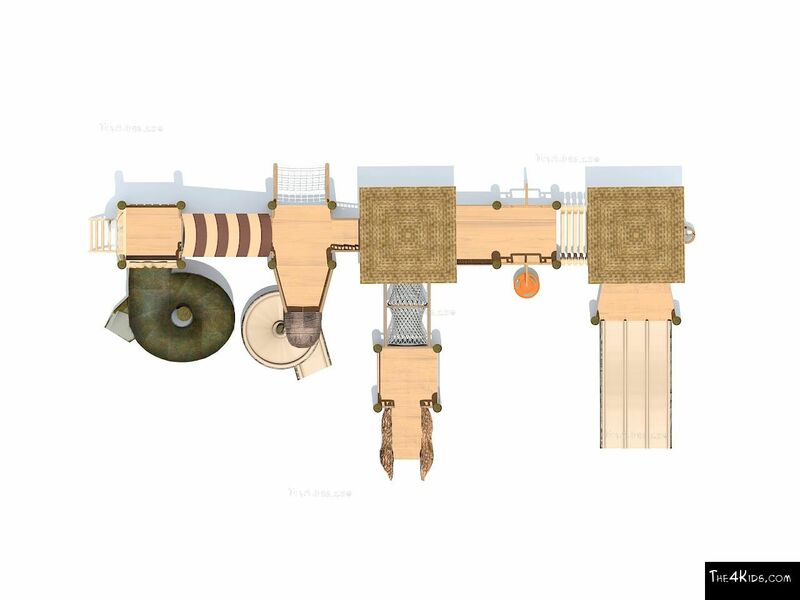 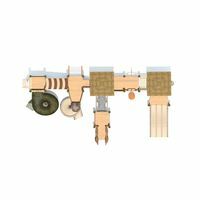 Do you like it but have some other ideas? 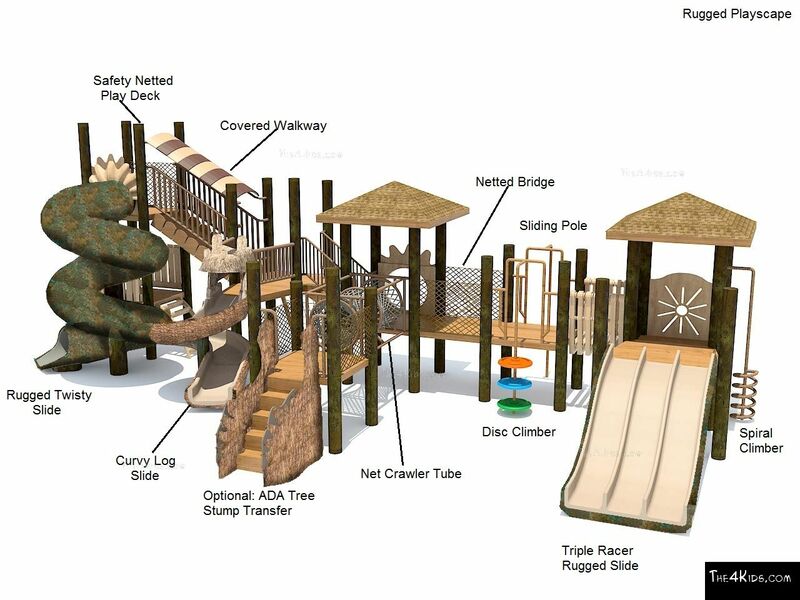 The 4 Kids designers are expert in customizing every playground to perfectly blend with a park or playground’s specific décor theme, or to add tree swings, crawl tubes or rock walls, among many others. After all, you, and your kids, are the experts on the subject of what your dream playground is, and The 4 Kids artists and engineers are the experts in creating it. 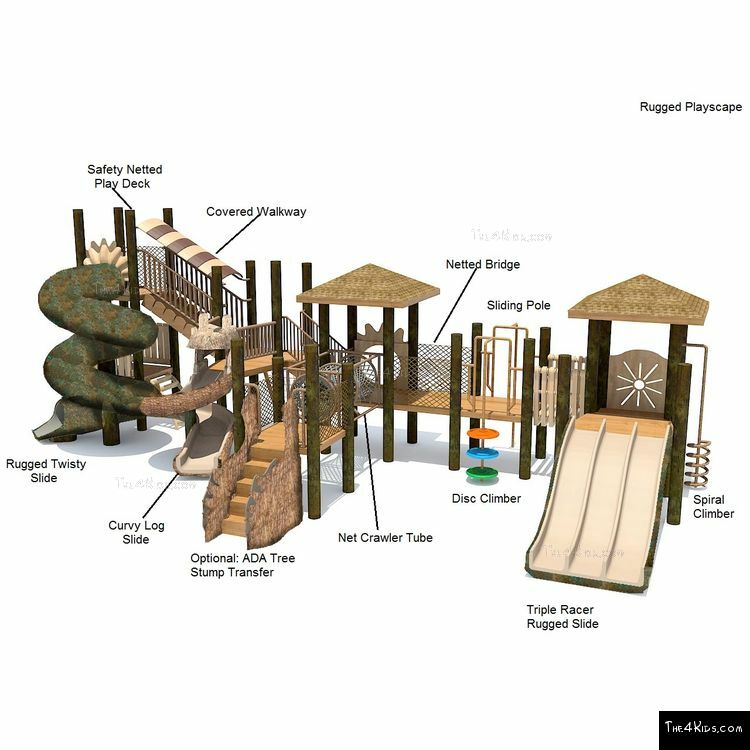 Ready to start your perfect playground design? At The 4 Kids, our professional designers are excited to consult with playground planners, offering ideas, guidance and support from start to finish. 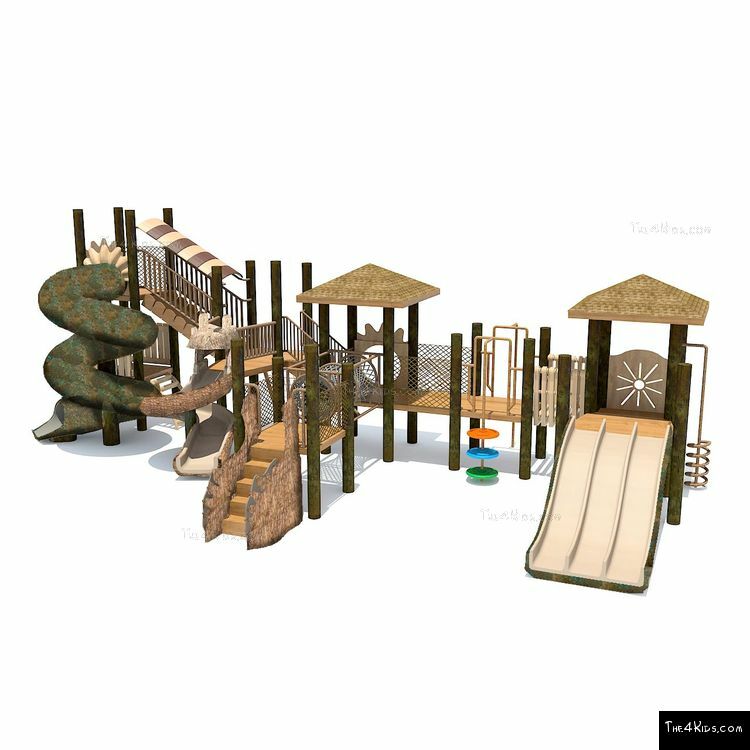 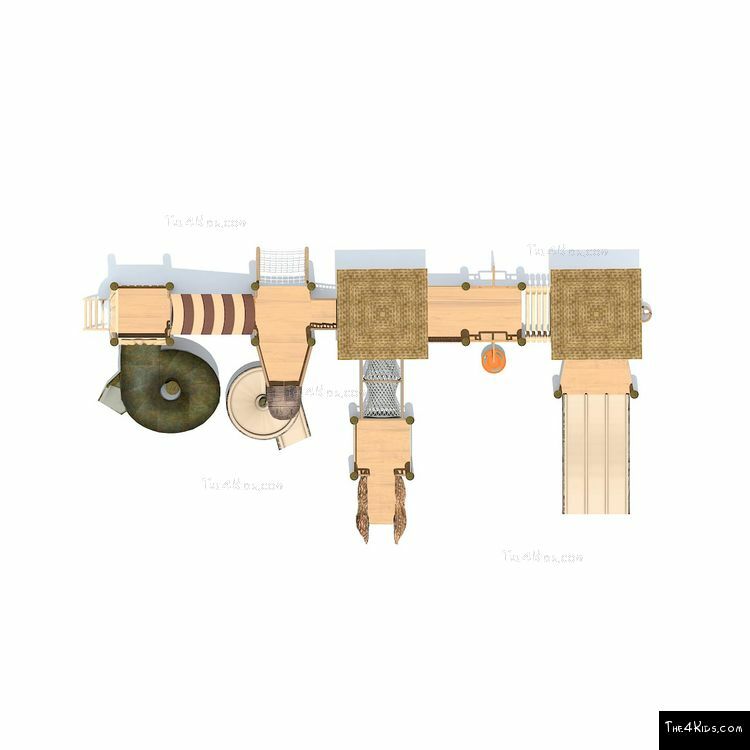 Choose this magnificent playground design and customize it to make it perfect for the kids on your playground.